Halloween is a night of fun treats and spooky scares but it can also be a time where things get out of hand. From car accidents to vandalism, injuries can not only ruin the holiday, but cause tragedy. Matt Cyr, the community service officer in Windham, shed some light on what the town can do to improve safety on this special holiday. The Windham Eagle (TWE): Do kids really need to worry about candy safety while trick-or-treating these days? What's the biggest safety issue you see during the Halloween season? (Cyr): Pedestrian safety. 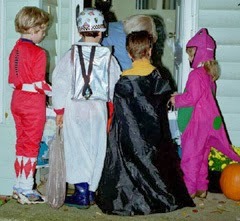 Kids and parents need to worry about the safety of the candy and pedestrian safety while out trick-or-treating. There have been many incidents throughout our country where candy has been tampered with. However, there have been way more incidents of car/pedestrian accidents where children are hurt and, unfortunately, in some cases killed. (TWE): What's a good trick-or-treat plan? (Cyr): Go in groups which include a responsible adult. Wear retro reflective tape on your costumes. Have flash lights. Be sure children’s costumes don’t restrict their ability to safely walk. If they are wearing a mask, be sure it fits as to not restrict vision. Children should not eat any candy without an adult checking it first. If the wrapper looks tampered with, throw the candy out. Children should have emergency phone numbers for their parent if they are out with another adult. (TWE): Do you see a lot of Halloween pranks? What is the most common? The worst? (Cyr): We do see some pranks. It’s generally toilet papering, smashing pumpkins and throwing eggs. Some of the worst are the older teens who threaten/bully younger kids. (TWE): What are the consequences of Halloween pranks? (Cyr): People can be charged with damaging property if things go too far. (TWE): Are there public Halloween celebrations going on in Windham or Raymond? (Cyr): Trick-or-treating is a big event in some of the neighborhoods in Windham. It never ceases to amaze me how some residents decorate and really make the night a big event. So, groups should remember to bring flashlights, be visible to cars and respect peoples’ property. Traffic cannot always see a dark costume, especially if it is black. Practicing pedestrian safety basics can help prevent injuries and taking small children by the hand can prevent sudden rushes toward the road. And people shouldn’t forget to have fun! On October 22, Windham Eagle reporter Rob McClure spoke with state representative and local resident Mike McClellan (R-Raymond). McClellan is the state representative for House District 103, which includes four towns, Frye Island, Raymond, part of Standish and also part of Poland. Here is an edited version of their conversation. The Windham Eagle (TWE): Thank you Representative McClellan for meeting with us today. Could you talk a little about yourself for those who may not be familiar with you and how you came to Maine? Rep. McClellan: I’m from Poughkeepsie, New York, arguably as pretty as Maine in some ways. I was at camp in New York where I met my wife who is from Maine. I stalked her for a week until she gave me a date (chuckles). We went to the camp for several summers and made eight-hour drives together, so we broke up a million times, mainly because of the drives. We went to school together in Arkansas and eventually decided to get married. 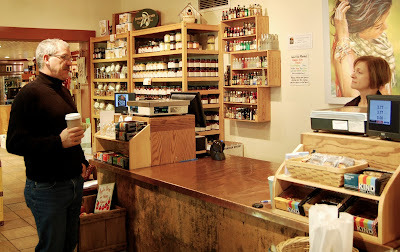 We lived in New York for two years, but the opportunities seemed better in Maine. Working in mental health at the time, where I was going to go was definitely limited in New York, where as in Maine, anyone can talk to the Governor really, if you need to. I love Maine, think it’s amazing and would never go back. Been here since 1986. TWE: So opportunity drew you to Maine? Rep. McClellan: Yes, that and luck. My wife’s parents helped us find a house in Raymond, and it had three acres. And I would say God played a role too. TWE: In 2011, the Daily Kos wrote an article criticizing you for writing an editorial piece claiming “God sent me to Augusta to work for the people and state” and argued religion has no place in politics. How do you respond to such criticism? Rep. McClellan: Many of us have cited the Bible a bunch of times - there are - you know, good rules in there. Since then, I’ve stopped reading the papers, not yours, but the bigger papers, like the daily papers in Portland. I stopped reading that crud- it is one sided and doesn’t meet my needs, so I go online to find my news now. As far as the quote goes, I was referring to Governor LePage’s wife, who spoke on the National Day of Prayer and at the end of the prayer she said “in Jesus’s name”, two columnist from Augusta just tore her apart. And I was just driven to respond by writing a letter to the editor. Why, when Jesus is my strength, I couldn’t get up in the morning without him and then go to this place in Augusta, which is a pretty strange place and ask me to leave my shield at the door? I read a few of the comments and they were just shredding me apart. I don’t understand why we can say anything in the world and talk about all kinds of bizarre stuff, yet we can’t say God. I don’t get it. I’m old enough to remember when church was the foundation, a place you turned to for welfare if you were in trouble. TWE: Another paper accused you of trying to change the interpretation of Church and State. What was that about? Rep. McClellan: I was also misquoted by another reporter and it made it sound like I was trying to change the definition of church and state, which actually generated hate mail. And I would argue that the definition of church and state doesn’t say I can’t say God, it just ensures I can’t force you to say God. It’s there to protect us from having Government force religion on us, part of the reason the Pilgrims left England when the king said no more Catholics, now you are all going to go to the state church. Rep. McClellan: It’s funny. A neighbor, who doesn’t agree with me politically, wrote a scathing, scathing letter because he believed it to be true- and why wouldn’t he – after all, it was in the paper? And I began to write a response to it, but ultimately decided to let it go, and decided it doesn’t really matter and erased it. Sometimes when you fight, it only makes it news. There have been a few times I have been called out on controversial things and I’ve let it go, then it just goes away in a few days. TWE: Speaking of newspapers, Governor LePage issued an order to his staff not to talk to several specific papers. Those papers are 75 percent owned by Donald Sussman, the billionaire husband of democratic senator Chellie Pingree. Should this be a concern to Mainers or anyone else who may be looking for unbiased reporting? Rep. McClellan: Well, the Governor has had several run-ins with papers that take his comments out of context and I think he just said enough is enough. It seems apparent that they are not going to give him the time of day anyways. As far as Mainers are concerned, it’s a multifaceted answer. This is America after all, why can’t Sussman buy those papers? He should be able to do what he wants - it’s his money. If you don’t like what’s on TV, you can just turn the channel. As a society, we forget we have choices. If you don’t like Mike McClellan, go vote for someone else. So while Sussman has the money and the right, I don’t think it’s real smart. He’s not winning votes for Chellie Pingree. He’s probably losing votes because independents see right through it, and thinking wow that looks sketchy. TWE: According a recent report by the Maine Heritage Foundation, Maine has nearly 1 in 3 people on some sort of public assistance. More than 35 percent of the budget is devoted to public welfare. This is a higher proportion of money than the State of Maine spends on education, roads, hospitals and police protection combined. And by 2016, there will be more Mainers enrolled in welfare than are working jobs in the state’s private sector. How serious is this and what does it mean? Rep. McClellan: I have a lot on that one. As a kid, I read an article about a Scandinavian country that had generational welfare, meaning the family never got off welfare as it was just passed down the family line. I think we are starting to see that. I would even go as far as saying it is modern slavery. In Africa, there are poor people who live on dirt floors and own nothing. They are truly poor, but also some of the happiest people. In America, poor means something much different. The poor here have cars, TVs and phones. I’m not saying they shouldn’t, but it is a much different perspective. If you receive X amount of dollars each week from the government without working, where is the incentive to work 40 hours a week and make seven dollars more per week. The motivation is not there. You might even lose money. TWE: And what happens if Maine has more people on welfare than working as predicted? Rep. McClellan: Chaos. At that point, I don’t know what happens to our society. I was told Maine has a waiting list of around 3,000 severely disabled people who cannot work. Yet we are covering many people who could probably do something. To me, government exists for those people on that waiting list. In the past 20 some years, Maine has been very generous with benefits, above the federal standards. When we asked to align the standards with the federal level, we were told we couldn’t lower them. It’s all about sustainability. I can offer you everything in the world, but if it blows up, then what good is it. I just try to be real and if you project out, you can see it won’t work. Look at the recent government debit card snafu, some cards were unusable, while others were able to fill multiple carts because the cards went unlimited. If the focus remains “what’s in it for me” rather than what JFK said [ask not what you can do for your country…] then our country may be lost. And that brings us back to how sustainable is this? TWE: Do you get sense the country is divided? Rep. McClellan: Yes. Not many in the middle today, very polarized. The two sides don’t seem to get along. Back in the eighties, Ronald Reagan and Tip O’Neil used to argue all daylong, then afterwards head upstairs together, smoke cigars and drink their favorite beverage. I don’t get sense that Reid and Boehner do that today. There is not a lot of civil discourse going on right now. The cynic in me sees most activities center on getting reelected and not focused on the good of the country. It’s not hard for anyone to stand back and say, that’s not good for the country. I have two sisters that are staunch Obama supporters. I can’t even have a conversation with them. TWE: Any Washington senate political aspirations? Rep. McClellan: I don’t think so, although…I didn’t think I was going to do this. If God has a plan, I know he does, I just don’t know what it is yet. It’s been hard on my family because of the time. I’ve seen what the leadership is like on both sides in Augusta and project Washington is probably the same. The system seems like it just doesn’t work. I was one of only six people who voted against the bond issue, I felt those 3,000 disabled people deserved better. Consequently, shortly after the bond issue passed we started to hear about the financial problems concerning education, roads and the National Guard armories. Why weren’t these things looked at before? I was looking forward to a robust discussion on the issue. Instead the leadership came in and said, “Let’s pass some bonds today”. I’m tired of it and frustrated, especially when a vote such as the bond issue gets passed 145-6 and I’m one of the six. TWE: Will you continue your local political work, once your term ends? Rep. McClellan: Yes. My intent is to continue. I consider myself a community leader. But outside of Maine is like going from the Seadogs to the Red Sox and I‘m not sure I have that kind of fortitude or sense, nor the support to raise that kind of money. Also, because of the way I played my hand in Augusta, staying out of the cliques and away from the parties won’t help my cause. I like to go up there, do my job and come home. The people that stay up there tend to have a good time and bond. I would rather come home to my family. Sometimes I’ve gotten home at 3 a.m. and driven back up at 9 a.m. It’s worth it to me (chuckles). I’m not a typical politician, I speak my mind and that ticks off too many people. TWE: What are your top three issues concerning Maine? Rep. McClellan: Welfare reform, education and constitutional rights. TWE: Why does it seem that every politician that leaves Maine and goes off to Washington becomes a millionaire? Rep. McClellan: (Chuckles) Good question, I have to be careful here…no I don’t, I don’t care. Everything I’m saying here has to be conjecture, I haven’t been down there. I just think the system is innate that you are going to make relationships that are going to be beneficial. I’m not saying they are corrupt, but the system lends itself to getting invited to parties, organizations and groups. Look at Harry Reid, all his sons are lobbyists, his wife has a job funded by the government – yeah I think there is some corruption down there. Not that people from Maine go down there and get corrupted, it just rewards those who do. The high reelection rate basically insures once you make it down there, you can stay there. It’s a club. You can see why people run so hard for those positions. Even the people down there that have done horrible things, they still get to stay. I guess the whole system just rewards itself and maybe some lose perspective because of it. TWE: What about Augusta? Do some politicians lose perspective there as well? Rep. McClellan: I think so. Not on the same level as Washington of course, but it happens. I’ve seen polls where people want to clear out Congress and start over. Maybe that’s not a bad idea. What’s ironic is I’m part of the problem, lecturing here. I don’t feel like we had a good session this year. I thought the bond issue was a cop out. My party is the party of “no new taxes” and yet, I thought we raised them too easily, especially in light of the fact we are taking in record revenue. Not that all taxes are bad. You just have to convince me why it’s a good idea. TWE: Well, Representative McClellan, thank you very much for talking with us today. Rep. McClellan: Thank you, my pleasure. 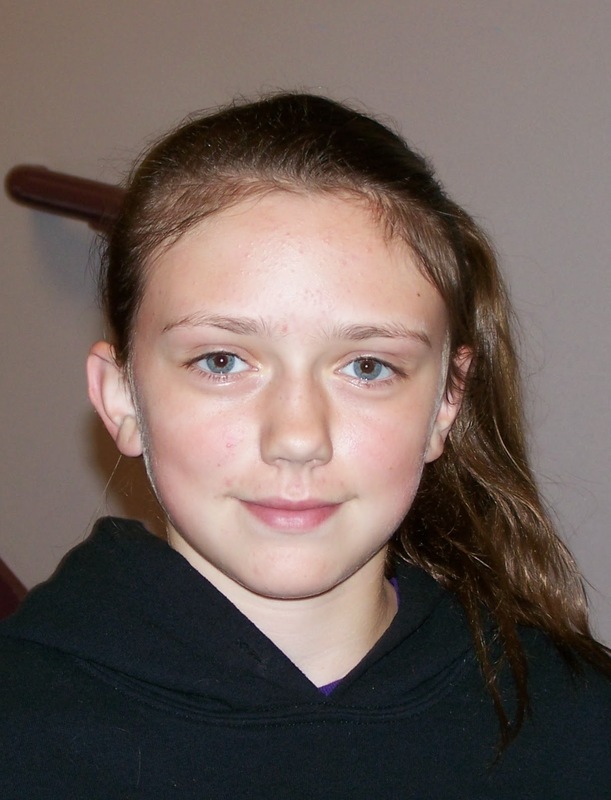 Callie Fielding, a 12-year-old from Jordan-Small Middle School is The Windham Eagle student of the week. This sixth-grader loves math. If she wasn’t studying, she would be making art, she said. Fielding has two cats, two dogs and one sister, and her favorite animal is a horse. Her hobbies include field hockey, basketball and softball. Phil Baker of Windham took advantage of an opportunity to spend six days in Sydney, Australia in September of this year. 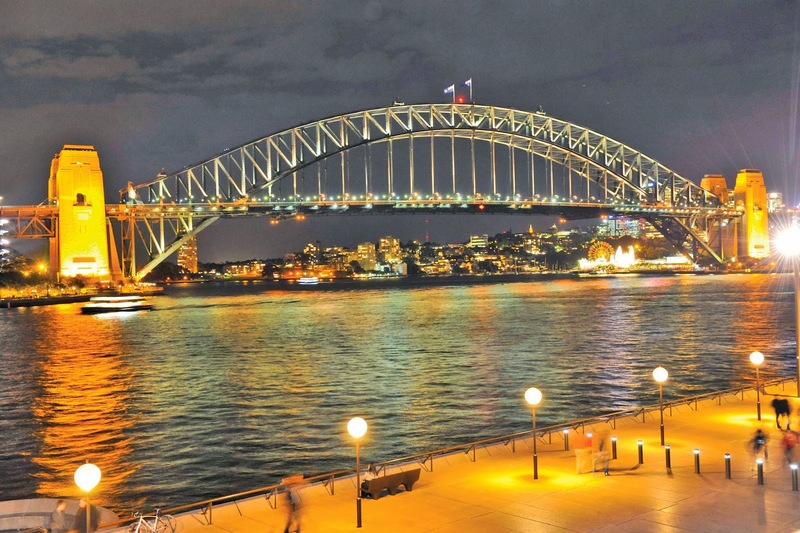 The following is the first of a three part article based on his observations of Sydney. A brush stroke of green swept from the eucalyptus canopy above the Rocks toward us. A gull-size bird the color of Mountain Dew with a scarlet chest flapped onto her finger. The parrot self-consciously folded its wings as if straightening its jacket and tie then pecked gently at the sugar in her palm. She told me the knurled claws grasped her finger gently and its beak scuffled lightly in her palm. When the sugar was gone the bird left atmospherically as it had arrived. “Hold your hand like this,” a waiter had prompted Angela, posing as if inviting her to dance. We’d been passing an outdoor café on George Street in the Rocks; the quaint and fashionable neighborhood of Sydney is home to galleries, hotels and pubs. She took the pose and he snapped a tube of sugar into her palm. If she hadn’t been charmed by Sydney, Australia before, the parrot certainly had done it. If Sydney was any farther from Portland, Maine it would be closer to Portland, Maine. We were urged to stay awake through the day and acclimate to the fourteen hour time difference. A stroll in the banyan filled Royal Botanic Gardens seemed just the thing. I joined Angela and Rey, new friends from California, for the walk. We left the main entrance of the Four Seasons in Sydney and crossed George Street when the signal sounded, an electronic faucet drip followed by a synthesized kookaburra call, and met Angela’s parrot. To the left loomed a dark structure, the arched Sydney Harbor Bridge. The world feels small when standing in the shadow of the iconic bridge. The green-gray steel looked black in the morning light. Suspension cables sliced the overcast sky into translucent white slivers below a giant arch of Ws. It seemed an unlikely thing to climb, but I was scheduled to do just that the next day. The Bridge Climb staff split us into two groups of their standard fourteen and a third group of two, Meghan and me. I had promised to climb with her when she confessed to a fear of heights. Meghan was the travel agent’s representative and the coordinator of the outing and I was alone, unable to bring my family to Sydney. Six other new climbers joined us while we waited for the larger groups to change into climbing gear. We watched a slideshow of breath-taking views and couples smooching at jaw-dropping heights. I asked Meghan why she had volunteered for this assignment. “Why not sailing in the harbor?” I asked. The Bridge Climb was only one of three activities offered by the travel agency. “You’re afraid of heights. Why didn’t you go on the koala cuddle?” She could only wonder the same thing. We wrapped up in light gray jumpsuits of breathable material and stepped into woven nylon harnesses. Our guide, Celine, walked us through the regimen. We counted to five into the breathalyzer testing for sobriety. We clipped a hat and a handkerchief to our climbing suits and secured our glasses with “croakies.” Walkie-talkies and headsets were securely fastened, nothing must fall from 450 feet. Then we climbed simulated ladders and catwalks, a thorough assessment of our fitness for the climb. “Okay, we’re ready. Is anybody afraid of heights?” Celine asked. Meghan’s hand shot up and Celine asked the two of us to climb at the front of the single file line, just behind her. We clipped carabineers onto a continuous cable that would be with us the entire way and stepped through a door like astronauts onto an open-grid catwalk, a third of a mile from the arched bridge and twelve feet above the roads of the Rocks. A motorcycle navigated traffic below, pedestrians shared the sidewalks with bicyclists. Joggers with pedometers strapped to their biceps ran with purpose. The first European building in Australia was a jail in this brick and stone neighborhood. The continent was initially a penal colony for the British. When America achieved independence the colonies no longer accepted England’s condemned. Australia became the new destination for those who contravened the peace in the British Isles. The prisoners found themselves on an eight month voyage to Sydney. Aussies are proud of this heritage. An elaborate archaeological dig is a featured attraction just a few blocks from the Bridge Climb. “You okay?” I asked Meghan around the headset we used to speak to Celine. Plans for the improvement to the Donnabeth Lippman Park are now underway. Last week, Swenson Granite and Grondin and Sons completed the sign and placed it at the entrance to the park. “It’s kind of exciting to see Windham have a year round park. I want to see people come down here to visit once spring comes around,” said Parks and Recreation director Brian Ross. The park is closed until the end of November while crews from Drew Corporation out of Lovell improve the road, add a 32-car parking lot and clear some land for what will eventually be a playground, according to Ross. The cost of the initial phase of this project is $123,000. The next phase will be to add the playground, boardwalks over marshy areas, create an adventure playground using natural obstacles and add fishing docks around the pond. The existing picnic area will be expanded. Security to the park has been a concern, but with an automated gate that runs on a timer and security lighting and camera, Ross believes that Donnabeth Lippman Park will be a wonderful place for the residents of Windham.